Meet and greets at NJP and drive a 90 KM distance from NJP railway station to a beautiful place namely Ramdhura Gaon, which is a real paradise of earth. 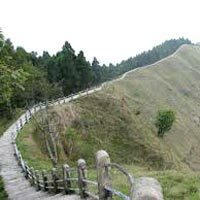 Sight Seeing: Here you can get Kanchenjunga in 180 degree, bird watching, butterfly watching and a short trekking Dam sang forte and Visit pine forest, longest view of teesta river. Overnight stay in a home stay. After having Breakfast your another mind blowing journey will be started with Zigzag road from Thambi view point, Ganek dara, Lungthung, Dhupi dara, Laxman Chowk and finally reached Gnathang valley a paradise of earth. 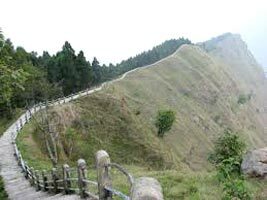 Your final and marvellous journey of silk route with the miracle story and view of Old Baba Mandir, Jalepla pass view, China falls, Meme yen chu lake view, Tukla valley. Please do not forget to see gulf yard at Kupup, Ice hockey ground, Polo ground and reached elephant lake at Kupup, Overnight stay in a home stay.